Wayne Shanklin (June 6, 1916, Joplin, Missouri – June 16, 1970, Orange County, California) was an American music performer, composer, arranger and producer. Shanklin wrote several hit songs including "Primrose Lane" (1959), recorded by Jerry Wallace and "Jezebel", recorded by Frankie Laine in 1951. Shanklin's best known composition is the song "Chanson D'Amour (Song of Love). 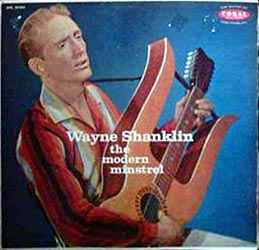 Note: Not to be confused with his son Wayne Shanklin, Jr., also known under his pseudonym J.R. Shanklin.